A history of BP Oil Spill. The Brutal Decline of Yahoo. The Great Recession is now history — much as its recently-announced end took us by surprise. 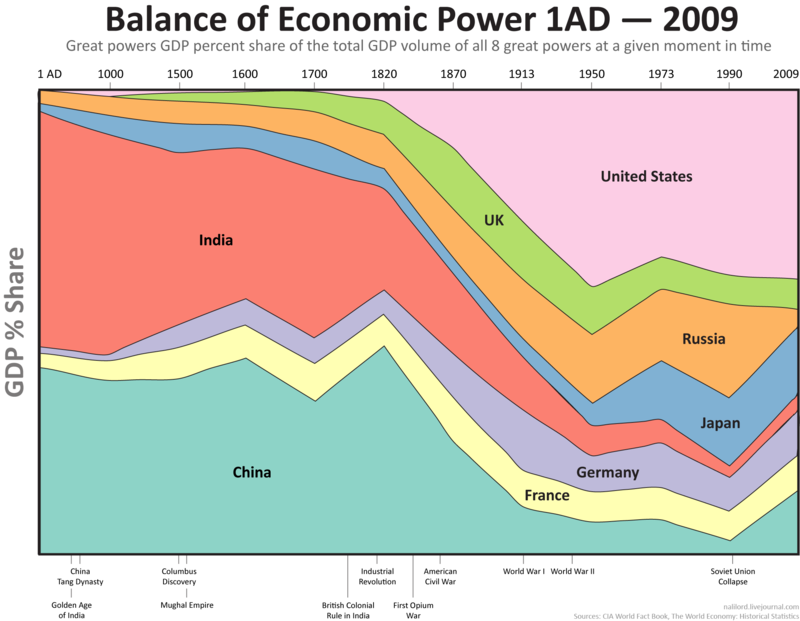 At 18 months, from December 2007 through June 2009, it is the longest since World War 2. So mint.com decided to take a look at the major events of the past three years. For the highlights, see our infographic — the Recession Timeline Diorama. Though it seems infographics have only hit the online world recently, they've actually been with us throughout history. Who knew? Jimi Hendrix was arguably the greatest instrumentalist in the history of rock music. He expanded the range and vocabulary of the electric guitar into areas no musician had ever ventured before. His boundless drive, technical ability and creative application of such effects as wah-wah and distortion forever transformed the sound of rock and roll. Hendrix helped usher in the age of psychedelia with his 1967 debut, Are You Experienced?, and the impact of his brief but meteoric career on popular music continues to be felt. This is a 3.65 meters long timeline infographic of Hendrix's musical production, including some other features about Hendrix chord and wah wah pedal. Note: If you read this via Email or Feed-reader click Permalink below to download (15276x1299 File size: 9.7MB) bigger image to see his amazing records. 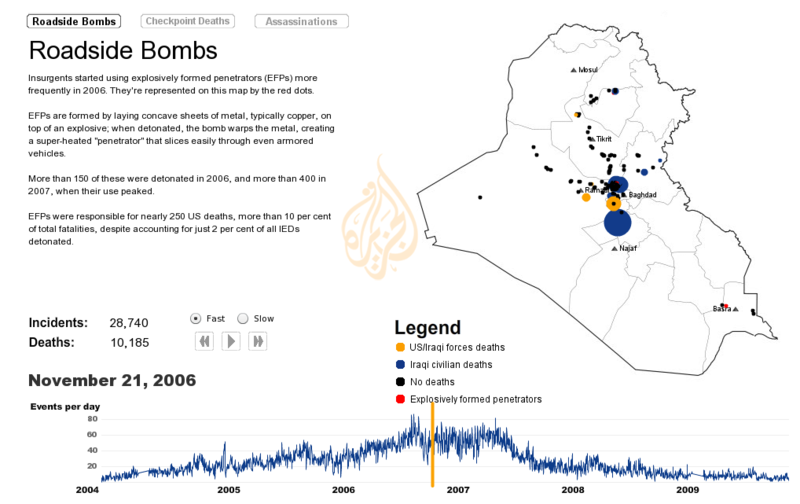 Interactive: A timeline of violence 65,000 roadside bombs, thousands of checkpoint shootings: watch the war as it happened with this Flash map. Note: If you read this via Email or Feed-reader above link to an interactive timeline animation. This is a cool infographic timeline, showing the Darwinian Evolution of Microsoft Windows from version 1.0 in 1985 up through the current Windows 7 in 2009.